MotoBatts winning combination of batteries, chargers and testers have made them the official batteries, charges and testers of AMA Pro Road Racing and Flat Track. With MotoBatts unique 9 stage charging and Maintenance process help pro-long the life of your battery. 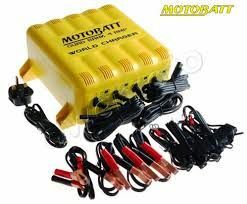 MotoBatt battery rescue starts if battery voltage has risen unusually high in the early portion of the re-charge cycle. This usually caused by plate sulfation. Once the battery rescue phase has succeeded in getting the battery to accept power, normal battery charging will begin. Soft start is used when the charger has detected a battery at very low initial state of charge. Voltage and current are delivered at specified rate to help the battery to recover prior to entering pulse charge mode. The MotoBatt pulse charge mode provides a sulphate busting pulse charge to help the newly recovered battery to continue to accept charge as it enter the reconditioning phase. With battery now through pulse and reconditioning phases and well on its way to full recovery the MotoBatt absorption phase gives the battery constant current taking the battery up to 80% of it capacity. 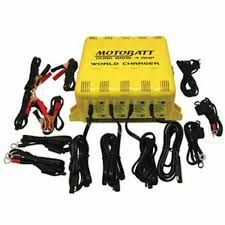 In the MotoBatt absorption phase the battery is given constant voltage while current is reduced based on action taken from monitoring the batteries current state until battery is 10% charged. Battery will now be checked to be sure that it is holding a charge properly and the charger will make a determination and classify the battery for use or not.